It’s an exciting time when you’re about to get your driver’s permit and can almost taste the freedom of the road. Before you rush out on the road, do you know of a few basic maintenance tasks every vehicle needs? Just like any other machine or appliance, a vehicle especially requires a regular maintenance schedule to ensure your safety and the safety of your passengers and fellow drivers. Sticking to a regular maintenance schedule reduces the chance of your vehicle breaking down unexpectedly, prolongs its lifespan and hopefully saves you money from costly, preventable repairs. 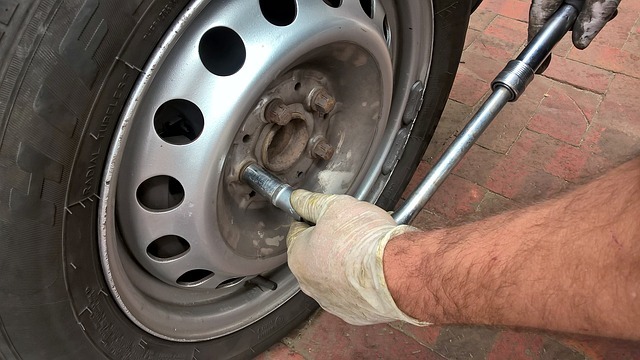 It’s a good habit to inspect your vehicle before driving by having a quick walk-around and looking for flat tires or anything that may affect your car’s performance. A tire air pressure gauge is inexpensive and can easily be kept in your glove compartment. Checking the air pressure in your tires helps keep them in good shape and improves your mileage. Incorrect air pressure can cause your tires to wear out unevenly and in a worst-case scenario, blow out your tire. Check your owners’ manual for recommended tire inflation pressure (PSI). Frequency: Check at least once a month and before any long road trips. Warning Signs: Poor handling performance, longer time for breaks to work, bumpy driving. The main fluids to check for include antifreeze, coolant, and wiper fluid. Frequency: Check every 2 to 3 months. Ensure you have enough coolant for the summer months and enough antifreeze for the winter season, if you drive in a colder climate. Warning Signs: Simple – you’ve run out of fluids or have been running low. If you notice leaking of any kind, take your vehicle to a mechanic right away. Knowing how to check your oil is important, whether you have a dipstick or an electronic gauge. The oil’s appearance (for example if it is murky-looking) may indicate a problem with the engine. Oil should appear clear. Frequency: Check your owners’ manual as every vehicle has unique recommendations. The old saying was to change your oil every 3,000 miles, but this is not always accurate, especially with newer vehicles. Warning Signs: Unusually loud engine, your ‘check engine’ light has become a permanent fixture as of late, or you notice a burning smell. Most newer cars have letter codes that come up on your dashboard at different mileage intervals. These codes alert the mechanics who work on your vehicle what to suggest to you for needed maintenance. One piece of advice, every time you get your oil changed the mechanics will suggest you get your air filter replaced, this isn’t an expense you have to pay for every time, although, it’s an expense that is worth it in the summertime when you’re going to use your vents. Western Slope Driving Institute is your premier Driving School in Colorado offering a variety of drivers’ education classes to suit your needs. We have over 10 years of experience and have four Colorado locations to serve you including Denver, Littleton, Grand Junction and Montrose. Sign up for WSDI’s driver’s ed today and learn all the insider tricks on rules of the road — straight from instructors with former law enforcement backgrounds. © Copyright 2019 Western Slope Driving Institute™. All rights reserved. WSDI is not affiliated with the Department of Revenue or the Department of Motor Vehicle.